An automated execution of your Business in a simpler visual way -It is a fully managed iPaaS that allows the developers to automate the business by providing a way to simplify and implement scalable integrations and workflows in the cloud. Now You can connect apps, data, and devices anywhere, on-premises or in the cloud with the help of Logic Apps thus reducing the integration challenges across the cloud. You can Create business processes and workflows visually. You can integrate software as a service (SaaS) and cloud-based connectors on-premises/on the cloud without dependency of the server. You can customize your logic app with your own custom APIs, code, and actions. Implementing patterns and workflows seamlessly from visual designer without any intervention of single code. Gets started with just a trigger. Workflow – Logic Apps provides a graphical way to model your business processes as a series of steps or a workflow. Managed Connectors – Your logic apps need access to data and services. Managed connectors are created specifically to aid you when you are connecting to and working with your data. See the list of connectors available now in managed connectors. Triggers – Some Managed Connectors can also act as a trigger. A trigger starts a new instance of a workflow based on a specific event, like the arrival of an e-mail or a change in your Azure Storage account. Actions – Each step after the trigger in a workflow is called an action. 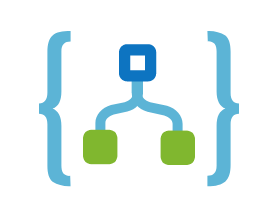 Each action typically maps to an operation on your managed connector or custom API apps. Enterprise Integration Pack – For more advanced integration scenarios, Logic Apps includes capabilities from BizTalk. BizTalk is Microsoft’s industry-leading integration platform. The Enterprise Integration Pack connectors allow you to easily include validation, transformation, and more into your Logic App workflows. How Infochola helping customer to deploy and integrate your Enterprise system to meet your Business Demands? We, at Infochola we are committed to help the customer in the digital transformation and to assist to achieve more with Information technology.